Five-year-old Clever George won his second race in three starts when scored at Ararat on Saturday. 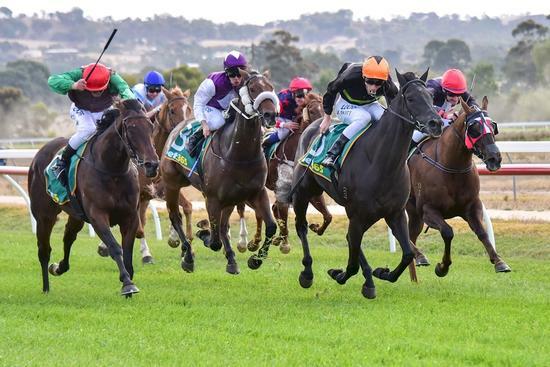 After taking 15 runs to land his maiden at Terang last month, the son of Skilled finished strongly to land the Bob Barr Smith 0-58 Hcp (1300m). Ridden by Jamie Mott, Clever George looked as though he was going to be a victim of bad luck halfway up the straight before bullocking his way between runners near the 150 metres and going on to score a length win over Talk’emaround and Tax Evader. “He hasn’t been the luckiest horse, but he found a way through which was great,” trainer Vincent Malady said. Clever George won at Terang three starts ago but last start at Geelong he covered ground and peaked on his run. In his 17 starts, Clever George has only five times finished out of place, but only once his eight runs since May last year has he failed to finish top three. “He had a quick freshen up after Geelong and responded well with a month between runs,” Vincent said.